Here are a few of the best free family tree websites. The internet is packed full of websites, dedicated to helping us trace our family histories. Some are trying to charge you for what others are giving away free and some just don’t deliver. However, lots of them are very helpful. So here is a list of some of the best I use. 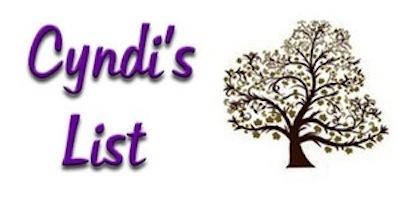 I use many, many more and there will be more posts with free family tree websites soon. You can find many free family history sites to help you along the way. Here are some good websites for not only finding your roots online but also for finding your roots free. These are mainly UK website or websites useful for tracing UK descendants. Here you’ll find a rich digital library of local and trade directories of England and Wales, 1766-1919, an immensely useful resource for locating tradespeople between the 10-yearly census records. There is also much more to check out here. The resource is part of University of Leicester’s Special Collections Online. The National Archives (TNA) is a handy site for UK genealogy research. It is the UK Government’s repository for its records, going back more than 1,000 years. It has free guides, informative blogs and online collections. From the homepage, you can also go to the Discovery directory to find the records held at TNA and at more than 2,500 archives across the UK. More than nine million records have been digitised and can, for a small fee, be downloaded. The name says it all and FreeBMD is my favourite site for finding birth, marriage and death certificates. We use BMD records to search for the significant events in our predecessors’ lives, which helps us to identify new names and family members along the way. You can use the FreeBMD website to locate the General Register Office (GRO) reference number you need to order English and Welsh BMD certificates, which date back to the start of civil registration in 1837. Once you have found the number, you can visit the GRO website and purchase your documents which will allow you to take the next step in your research. You don’t always need the certificate, but if you find more than one person who could be your ancestor you need to get the certificates to see which person should be in your tree. FreeBMD is under the umbrella of the Free UK Genealogy family of sites, which are run by volunteers. You can FreeCEN and FreeREG for parish registers, local baptism, marriage and burial records that pre-date BMD certificates. Here is the home of the Federation of Family History Societies. You can explore lists British and overseas societies of researchers all of whom share your interests. Many societies have specialist proficiency and knowledge available nowhere else; as well as societies based in different places, there is also the Families in British India Society, for example, along with those focusing on Jewish, Quaker, Catholic, traveller and Romany family history, and much more. It’s worth joining a society in your local area as well as one in the area where your ancestors lived or a specialist group. The annual fees are often low. Find links to organisations in Scotland, Ireland and Wales on the FFHS site too. UKBMD is very handy as it has more than 2,500 convenient links to websites that have online transcriptions of UK births, marriages, deaths and censuses. A wide range of other indexes and transcriptions are also available for many counties, including parish records, wills, monumental inscriptions and so on. This is a valuable site where you can freely search 240,000 manuscripts, from eight different archives, giving you access to 3.35 million names. You’ll find parish, criminal, coroners’, hospital and guild records, plus miscellaneous files, such as tax and settlement records, workhouse and fire insurance registers. FamilySearch International is a significant genealogy organisation. It is the online home of the Federation of Family History Societies, where you can explore a list of British and overseas societies of researchers who share your interests. Many organisations have specialist expertise and knowledge available nowhere else; as well as societies based in different locations, there is also the Families in British India Society, for example, along with those focusing on Jewish, Catholic, Quaker, traveller and Romany family history, and more. It’s worth joining a society in your local community as well as a specialist group the one in the area where your ancestors were born and died, and the annual fees are often low. Find links to organisations in Scotland, Ireland and Wales on the FFHS site too. 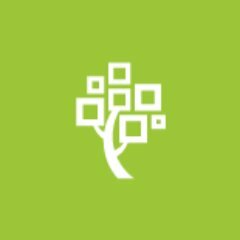 The FamilySearch website has more than two billion totally free digitised records from around the world to help get you started on your family history journey, and it also offers free webinars, a family tree app, a helpful FamilySearch Wiki and the chance to connect with distant relations online and record and share family stories and memories. This comprehensive, free genealogy index has been going for more than 20 yea rs and contains nearly 334,000 links to genealogical resources online. It’s a great springboard into what the internet has to offer family historians. ISOGG was the first society founded to promote the use of genetic genealogy testing for family tree historians and is the place to go for unbiased advice on genetic genealogy and what it could mean for your research. Now with an incredible 10,000 members worldwide, the site hosts a wealth of information, including ISOGG Wiki, DNA test comparison charts, details on DNA projects and companies, workshops, speaker’s bureau, forums, meetings and more. The society is a non-commercial non-profit organisation, with no fees, so anyone with interest can join, support and network with fellow researchers. This excellent, fully searchable site offers the most substantial body of digitised texts describing the lives of non-elite people ever published. Freely search and view reports of 197,745 trials held at London’s central criminal court 1674-1913, and 4,000 pages of the Ordinary of Newgate’s Accounts – a sister publication of The Proceedings – which include biographical details of 2,500 men and women executed at Tyburn between 1676-1772. There are helpful ‘Getting Started’ and ‘Guide to Searching’ videos and tutorials for those trying the site for the first time. Finding your family on the internet is quite easy if you know where to look. These sites and the many more a have usually pointed me in the right direction. If you have any comments please let me know below. I love hearing from you.